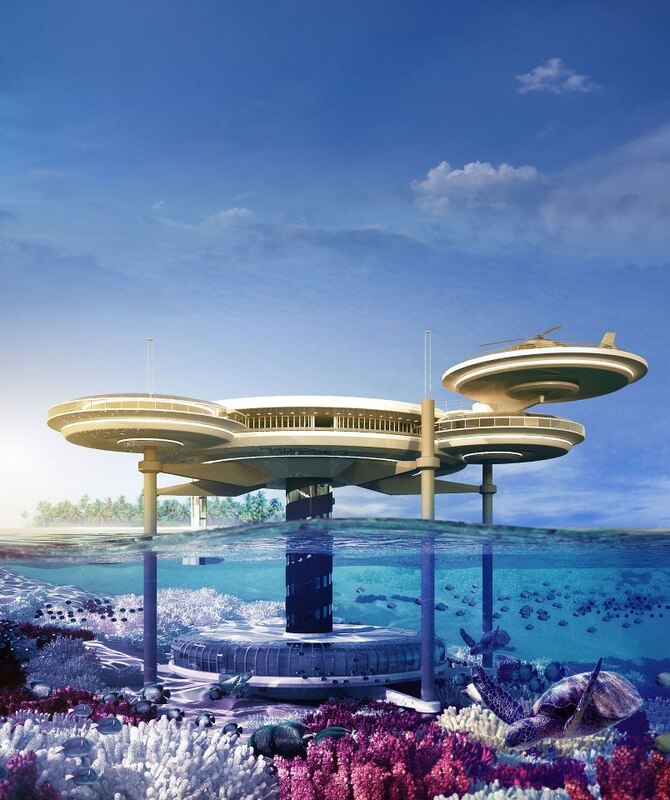 The Water Discus hotel has been designed by Polish company Deep Ocean Technology (DOT) with the help of Swiss firm BIG InvestConsult AG. The hotel will comprise of two discs - one under the water, and one suspended above the water. The discs will be connected by five legs, and a vertical shaft in the centre housing stairs and a lift. The underwater section will be up to 10 metres beneath the sea surface, and contain 21 double rooms adjacent to a dive centre and a bar. Each room has been designed to 'integrate with the underwater world as closely as possible'.